Topographic parameters of high-resolution digital elevation models (DEMs) with meter to sub-meter spatial resolution, such as slope, curvature, openness, and wetness index, show the spatial properties and surface characterizations of terrains. The multi-parameter relief map, including two-parameter (2P) or three-parameter (3P) information, can visualize the topographic slope and terrain concavities and convexities in the hue, saturation, and value (HSV) color system. 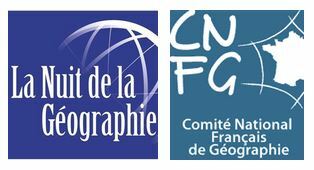 Various combinations of the topographic parameters can be used in the relief map, for instance, using wetness index for upstream representation. In particular, 3P relief maps are integrated from three critical topographic parameters including wetness or aspect, slope, and openness data. 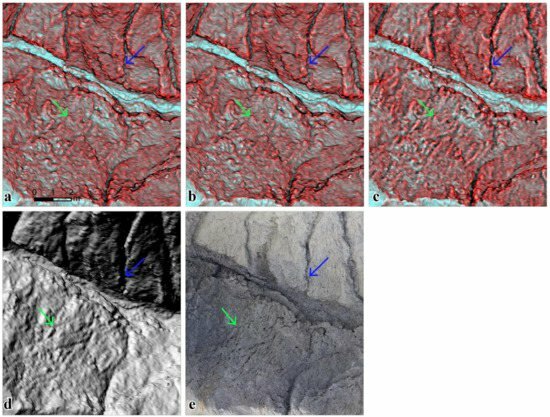 This study offers an effective way to explore the combination of topographic parameters in visualizing terrain features using multi-parameter relief maps in badlands and in showing the effects of smoothing and parameter selection. The multi-parameter relief images of high-resolution DEMs clearly show micro-topographic features, e.g., popcorn-like morphology and rill. (a) Comparison of the 2P relief maps with slope–openness, (b) with slope–total curvature, (c) with slope–plan curvature, (d) hillshade map, and (e) ortho-image (popcorn-like morphology: green arrow and rill: blue arrow). Chu, H.-J., Chen, Y.-C., Ali, M.Z. & Höfle, B. (2019): Multi-Parameter Relief Map from High-Resolution DEMs: A Case Study of Mudstone Badland. International Journal of Environmental Research and Public Health. Vol. 16 (7), pp. 1-12. Participants of the first ER3DS workshop. The aim was to integrate the knowledge of geography / geoinformatics, architecture, planning and environment, building energy use, and urban climate experts from Taiwan and Germany. 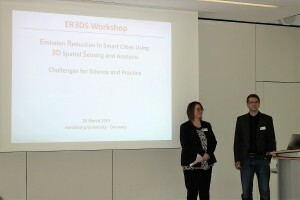 Selected speakers from academia, SMEs and public authorities were brought together in order to assess the (future) role of 3D geodata and 3D analysis for emission reduction in the smart city context (e.g. 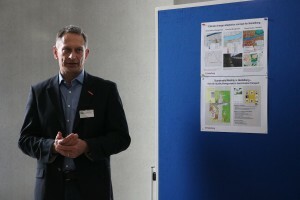 smart building-integrated photovoltaics). 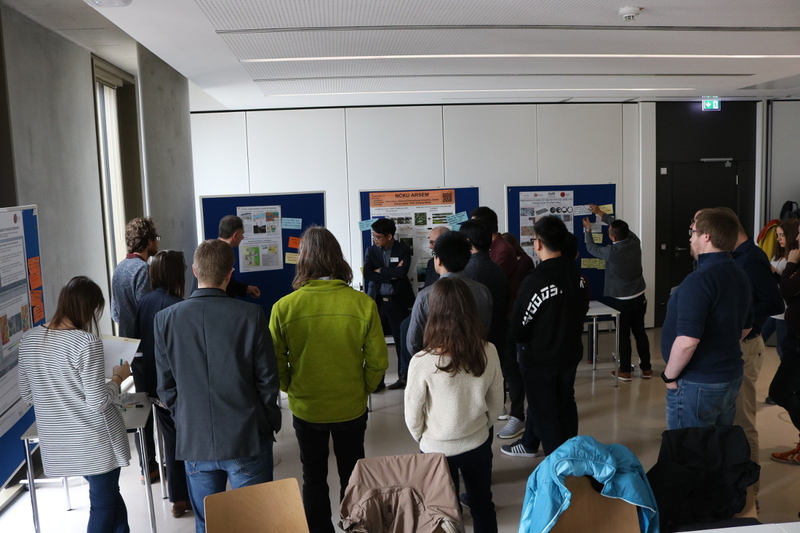 As a result of the transdisciplinary workshop we exchanged know-how from multiple directions and we identified existing and new (joint) application examples. 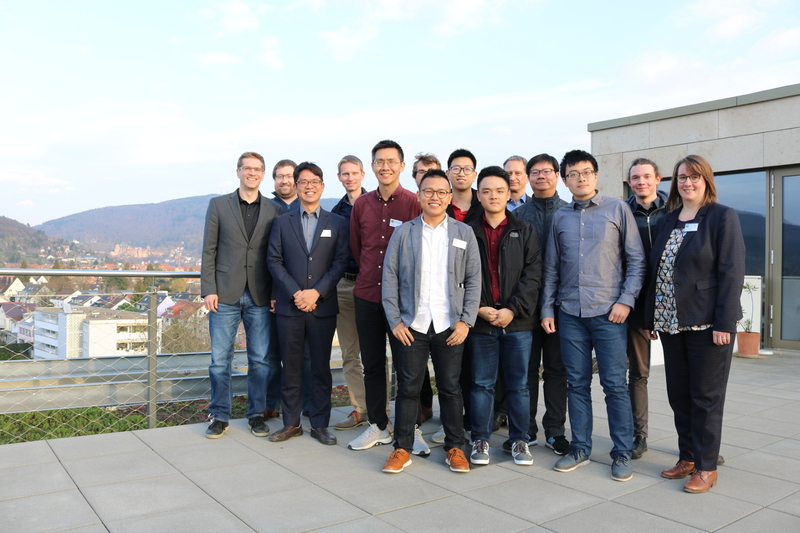 Moreover, we connected and linked new project partners in Heidelberg and Taiwan and we are able to address the main challenges across science and practice as well as between Germany and Taiwan. Dr. Nicole Aeschbach and Prof. Bernhard Höfle opening the workshop. 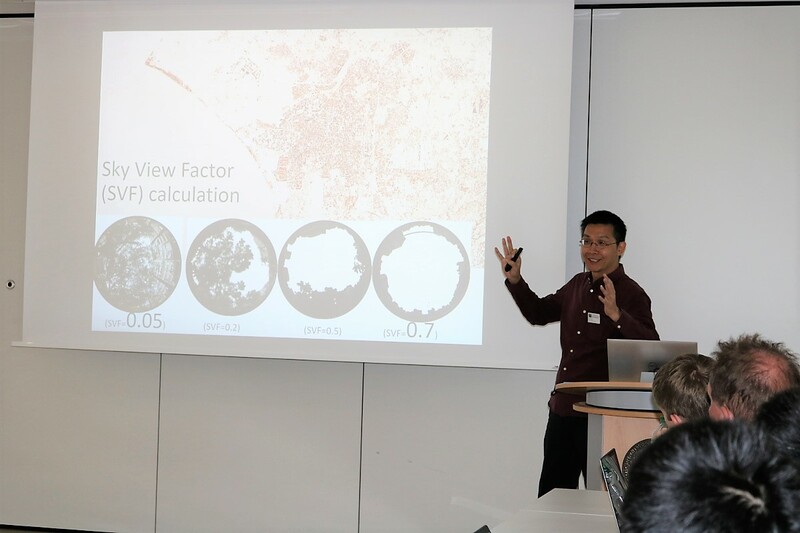 Prof. Tzu-Ping Lin (National Cheng Kung University of Taiwan, Co-PI of the ER3DS project) talking about the application of urban 3D data for thermal, wind, and energy issues in urban areas. 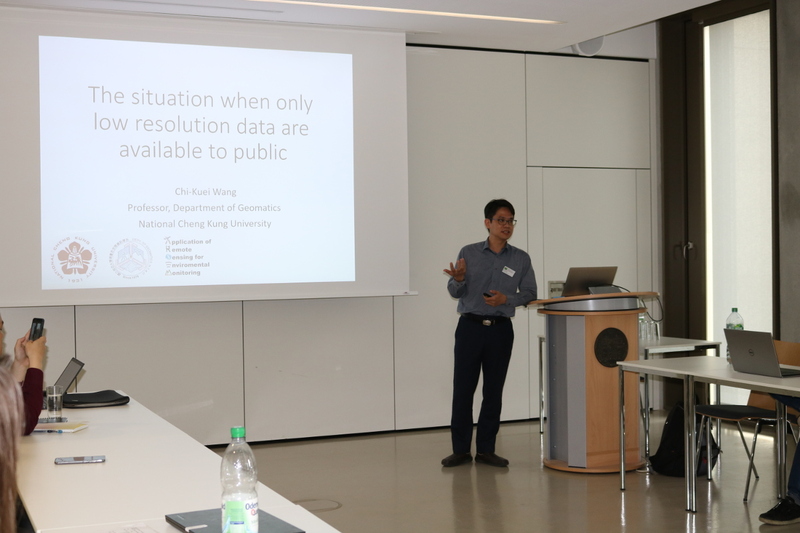 Prof. Chi-Kuei Wang (National Cheng Kung University of Taiwan, PI of the ER3DS project) talking about the application of low resolution data for emission reduction in the smart city context. 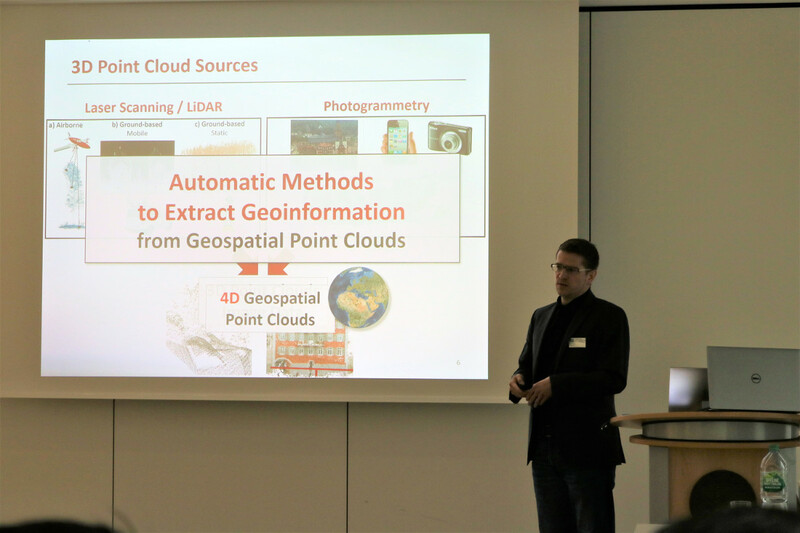 Prof. Bernhard Höfle (PI of the ER3DS project) giving a presentation how to benefit from 3D geographic point clouds to reduce emissions. Prof. Andreas Matzarakis (University of Freiburg and German Meteorological Service) giving a talk about short term and long term actions in cities in the era of climate change. Discussions during the "expert marketplace". Dr. Raino Winkler (City of Heidelberg, Environment Department) presenting a poster on climate change adaption strategies in the city of Heidelberg. Many thanks to the IWR-Mathematikon administration for supporting the workshop with a perfect venue, and also to the helping hands in the background (Bettina Knorr, Carina Altmeyer and Hannah Weiser). 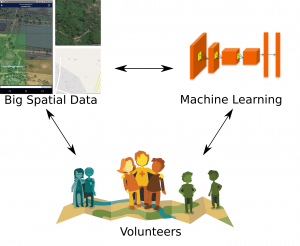 Find more information about the ER3DS project on the project website and in the GIScience News Blog. In case you want to contribute with your experience and knowledge about ER3DS, feel free to contact us directly. The project ER3DS is funded by BMBF (Germany, FKZ 01DO19001) and MOST (Taiwan). Welcome back to a new episode of how to become ohsome. Yes, you’ve read the heading correctly. We are really talking about a snake in a notebook on another planet. If you are familiar with one of the most used programming languages in the GIS world, you might already know by now which snake is meant here. We will show you in a Jupyter Notebook how you can use Python to make ohsome queries and visualizations in one go. And we will do that through using our global ohsome API instance. In case you’ve just read the combination of “global” and “ohsome” for the first time, better get up-to-date and read this blog post. As already mentioned, Python is a widely used programming language, especially in the GIS world, to perform spatial analysis and create visualizations like diagrams. Combining Python code, explanations and visualizations in one go, a Jupyter Notebook is a useful tool to achieve just that. It is already in use within other projects in HeiGIT (e.g. avoid obstacles with ORS). So we thought it was time to make Jupyter Notebooks ohsome. To give you a little teaser of what is in that notebook, the following shows a visualization plus a piece of Python code that is used to create it. 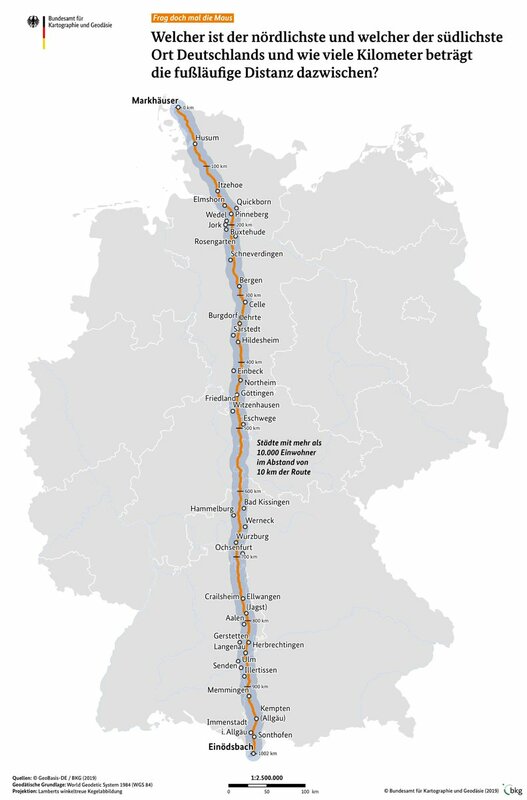 The diagram displays the count of OSM elements having the OSM tag building for different points in time for the three cities Heidelberg, Mannheim and Ludwigshafen. The complete Jupyter Notebook with all the code and explanations can be found here. As always, if you want to give us feedback or have any questions, info@heigit.org is the best way to get in touch with us. Further Jupyter Notebooks with more examples will follow soon. Stay ohsome! Currently, we are supporting citizen science approaches towards new applications in Arctic and climate research. Mapping the Arctic ground ice distribution has been identified as a major scientific task to bring climate change impact assessments and permaforst modeling to a new level of realism. 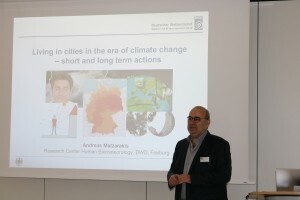 Dr. Moritz Langer, Alfred Wegener Institute, Helmholtz Center for Polar and Marine Research (AWI), was presenting first ideas to tackle this challenge by integrating citizen science at the ThinkCamp CitizienScience@Helmholtz. HeiGIT and AWI are further collaborating in an exhibition that was developed for the MS Wissenschaft science ship: Artifical Intelligence. 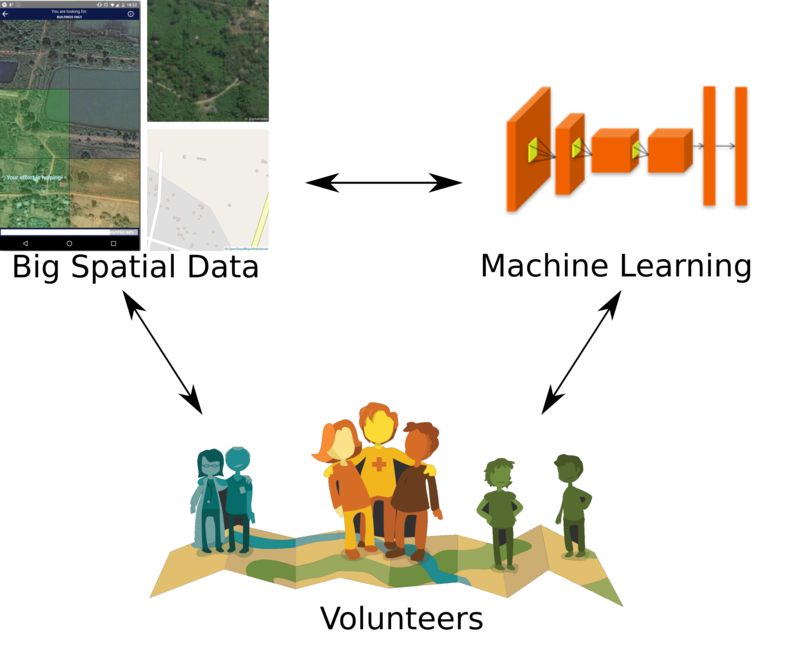 Our aim is to combine the potential of both, citizen science and machine learning approaches, to deepen our understanding of earth surface processes. Wollen Sie wissen, wie weit es vom westlichsten zum östlichsten Ort in Deutschland ist? Dann schauen Sie doch mal beim openrouteservice vorbei. 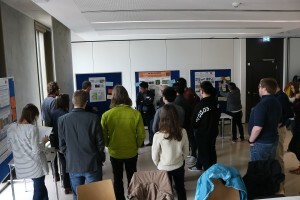 At Saturday the 23rd of March 2019, it was time again for very young researchers being introduced to GIScience. Melanie Eckle, Martin Hilljegerdes, Sven Lautenbach, Katharina Przybill, Leonie Schuchardt and Vivien Zahs introduced 16 highly motivated kids into GIScience as part of the KinderUni 2019. 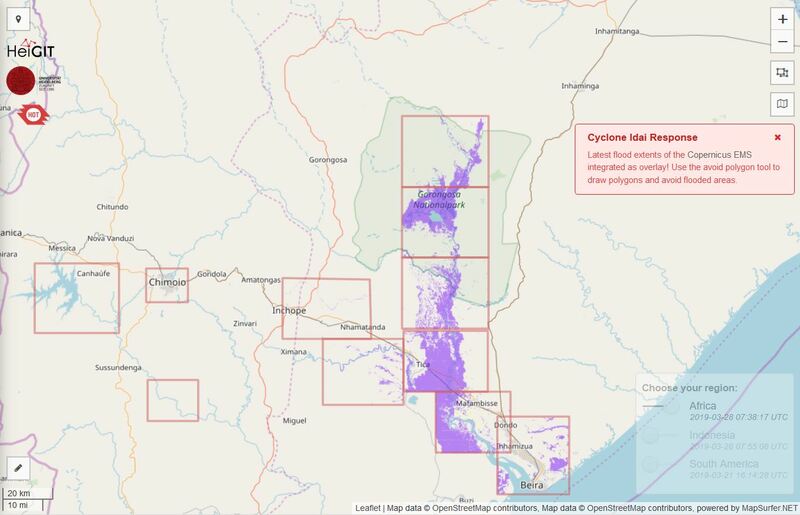 After an overview and an introduction into desktop mapping and how to help in humanitarian mapping with MapSwipe, we went out for a scavenger hunt. 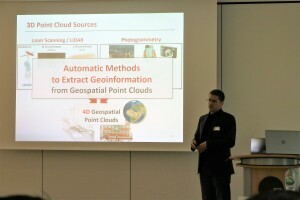 The kids navigated the Neuenheimer Feld based on absolute and relative coordinates using maps and GPS receivers to locate the treasure – but this year’s highlight was the “group picture” taken by a laser scanner in front of the famous Hettner rock, which allowed to measure the kids’ height with high precision. A screenshot of the point cloud together with a traditional group picture with the rabbits before the physics building and a self created uMap with all relevant events along the route will remind young participants of their first GIScience contact – maybe in the not so far future we will see some of them again as students, scientist and professors at GIScience. Point cloud of upcoming young GIScientists together with height measurement.